Another little-known, but very important and effective federal agency is under attack by the tea party pit bulls serving the interests of their corporate masters. After trying to bring down US EXIM Bank, spending massive federal resources and creating a half a billion dollar hole in the US annual budget, these clowns (there is no other word to use here) are targeting OPIC – Overseas Private Investment Corporation – a federal trade and development agency. This agency uses full backing of the US Government, not only to protect and finance US investors investing into high-risk markets abroad from perils like expropriation, nationalization and currency inconvertibility, but also is completely self-funding and contributes billions to the US Treasury. As someone who had over a decade of experience working closely with OPIC, I can certainly attest to the fact the it is one of the most professionally run agencies in the Government. It is small, lean and provides terrific tools to both small and large businesses, which are investing overseas. 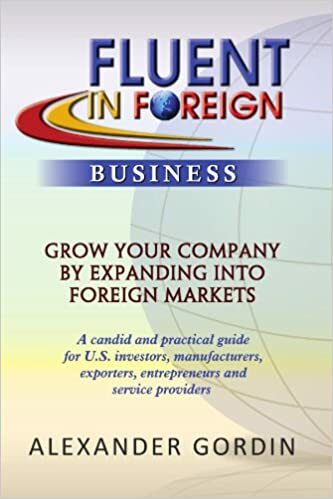 It runs microfinance investment, provides help in war-torn, or earthquake effected countries (Georgia, Haiti, Afghanistan, Ukraine are just some examples) and helps promote US economic and foreign policies by helping major US franchises including Marriott, Ritz Carlton etc. to set up their brands and improve their presence in far corners of the world. It is very ironic, that people pointing the finger at these agencies, as being tools of corporate welfare, are themselves instruments of corporate interests and cronyism. The junior who wrote the article below, is not only poorly informed about OPIC and its role in our country’s foreign policy, but is a glaring example of a patsy, whom certain US airlines and corporations run by two very wealthy brothers use to further their own interests at the expense of not only American taxpayers, but the entire US economy. The winds of change might finally be blowing in Washington. For the first time in 81 years taxpayers are no longer dolling out dollars on risky loans to subsidize big businesses and foreign corporations, thanks to the expiration of the controversial Export-Import Bank. While this represents a victory for the taxpayers over well-funded special interests, there remains an alphabet soup of government bureaucracies that continues to dispense taxpayer goodies to those with political connections and clout. 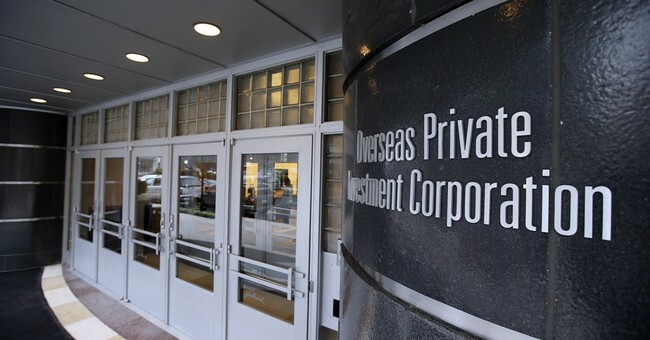 OPIC (Overseas Private Investment Corporation) despite what the name implies, is not private but rather a taxpayer-backed outfit that provides subsidies for American businesses who invest overseas. The government provides loan guarantees as well as direct loans to American companies in emerging markets. By doing so OPIC shifts the risk of these ventures off the companies and straight to the taxpayers. Sound familiar? The bad news is that, like the Export-Import Bank, this creature of Washington has been around for decades and has survived by free riding on legislation with broad bipartisan support to escape scrutiny. The good news is that bringing previously unknown organs of the federal government out into the open has proven to be an effective way to make these outdated and unpopular agencies a thing of the past – something we have seen recently in the fight over the little-known Export-Import Bank. Put another way, the more everyday Americans witness how their hard earned money is being spent by unaccountable bureaucrats in Washington, the louder the cries to Congress to let corporate welfare expire. Some of the most egregious examples of OPIC funded projects include $50 million for a Ritz-Carlton luxury hotel in Istanbul, $150 million for Citibank to open up three overseas branches and even a loan that defaulted on an Enron operated power plant. Not exactly the best use of taxpayer dollars. These sweetheart deals represent the worst of Washington, influential corporate interests finding obscure government agencies to pad their bottom line, while taxpayers assume the risks. Fortunately, like the previously mentioned Export-Import Bank, OPIC’s authorization is set to expire in September. And like Ex-Im, lawmakers should take that opportunity to send this antiquated agency packing. As we saw recently in the tug-of-war over the Export-Import bank, this will be an uphill battle, but it is a battle than can be won. A strong anti-cronyism movement across the country has buoyed the efforts of leaders committed to breaking up the cozy relationship between big business and big government that too often thrives in Washington. It is a chance to capitalize on the momentum of recent policy victories, and notch another win for taxpayers. Lawmakers should seize it. As Milton Friedman wrote in 1996 “”I cannot see any redeeming aspect in the existence of OPIC. It is special interest legislation of the worst kind, legislation that makes the problem it is intended to deal with worse rather than better. …OPIC has no business existing.” It seems Washington might finally be catching up with Friedman’s wisdom, but now it’s time to follow through.